This crewneck sweater was influenced by a fisherman’s sweater that originated in the Aran Islands. 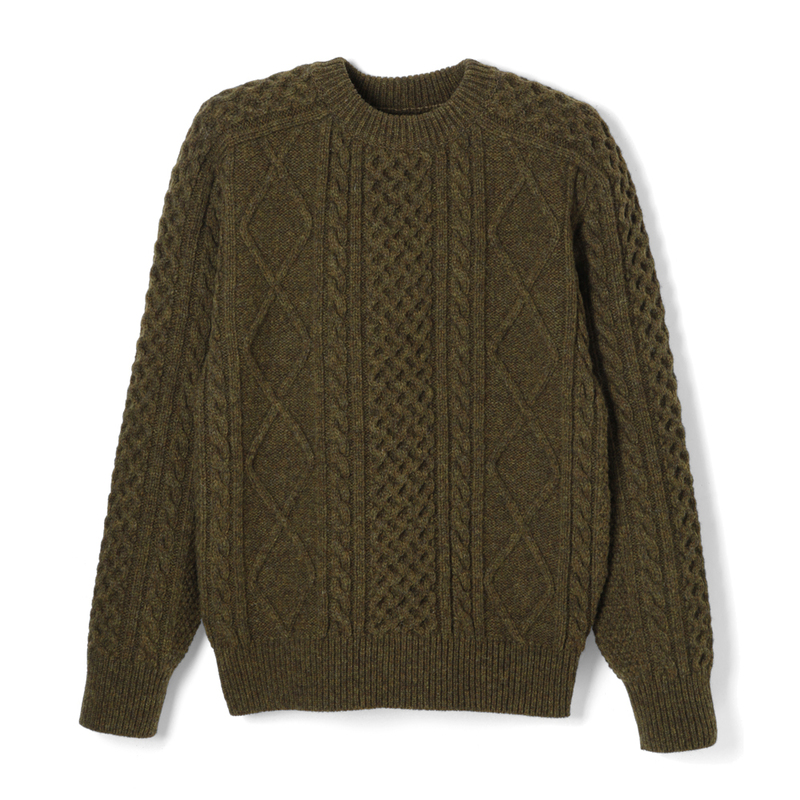 Shetland wool spun in Japan has been used to produce the sweater. The traditional honeycomb pattern has been preserved, with the pattern connecting from the body all the way up to the sleeves for a unique design. The solid patterns have been utilized to retain the sweater’s vintage feel.